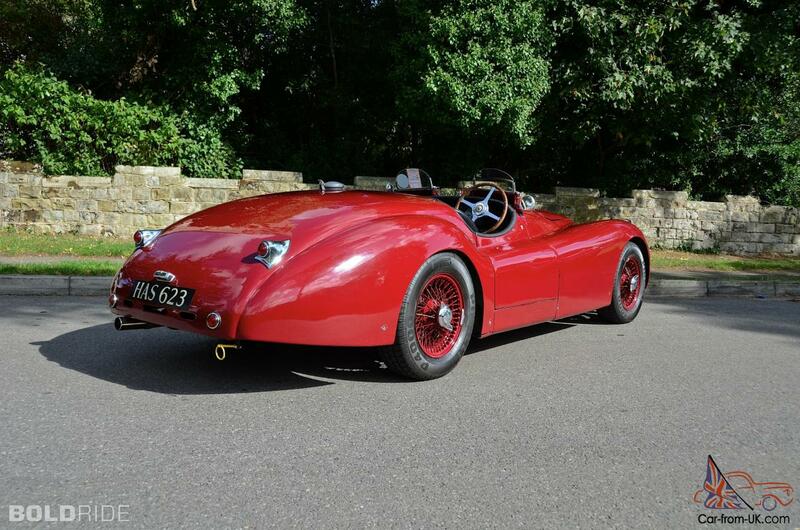 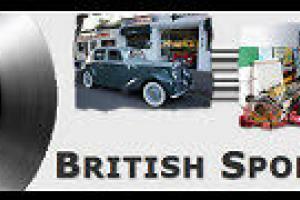 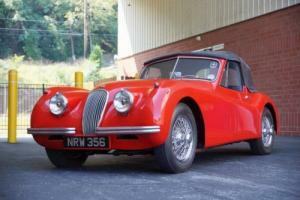 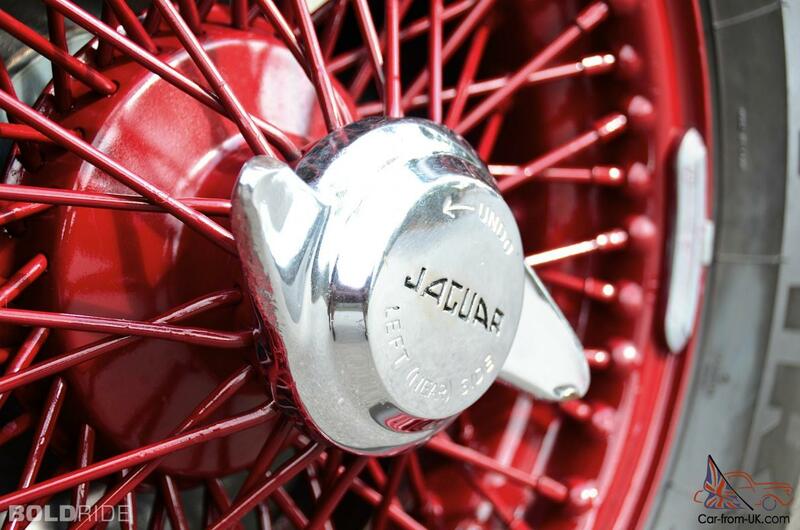 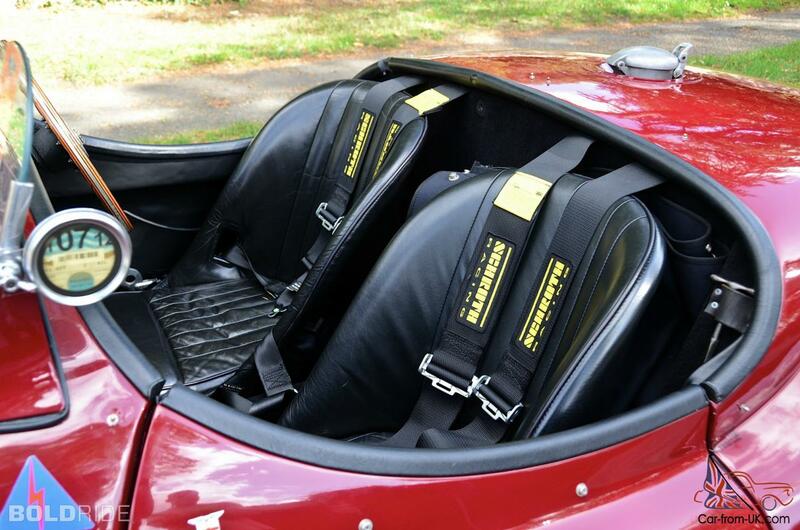 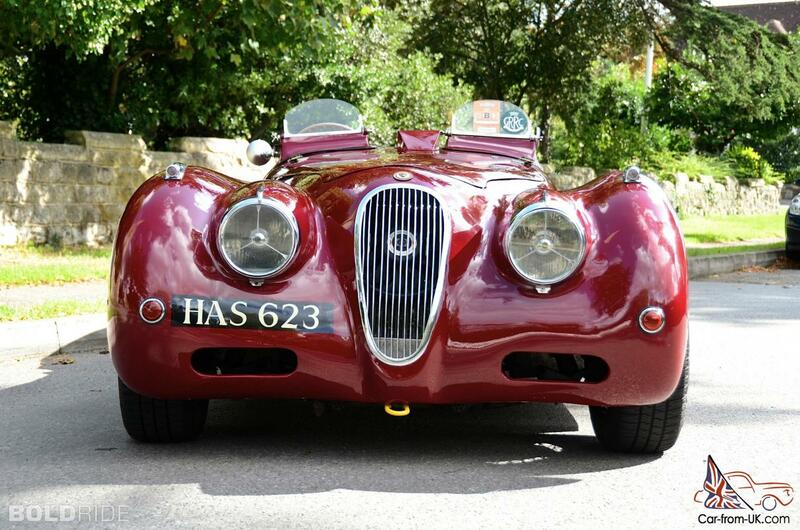 Want to buy Jaguar XK120? 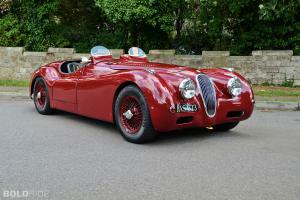 Model of the XK120 was represented in 1948, and was incredibly fast machine. 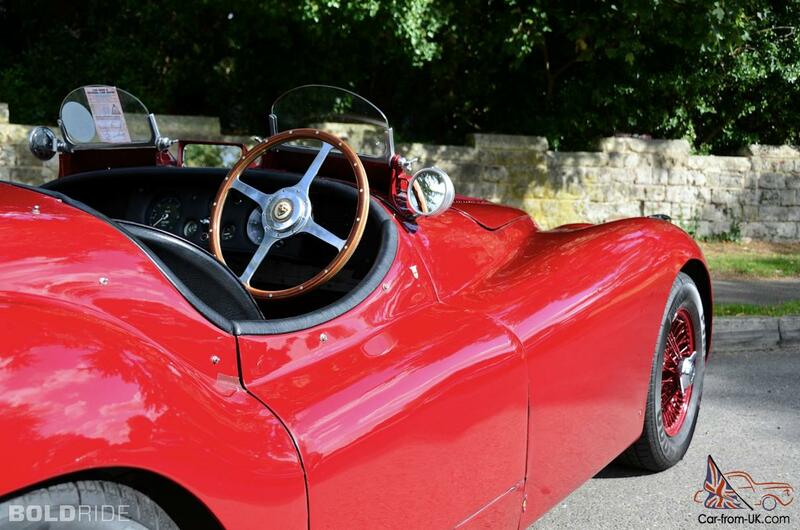 Six-cylinder engine worked very smoothly, power seemed almost infinite, but the machine was easy for driving thanks to the large wheel and improved steering column. The design was also very fashionable with soft curves and streamlined shape, the inspiration for which was introduced in the beginning of the 1940-ies car racing BMW 328 Milte Miglia. 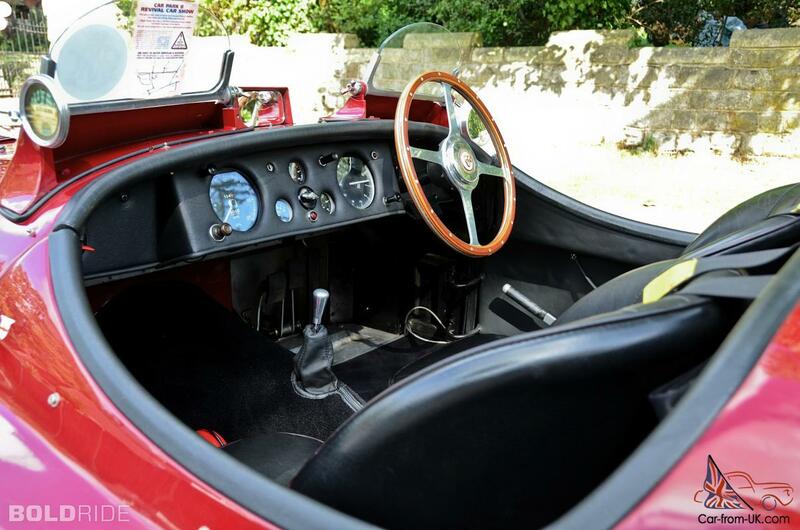 In the model 120 used lever front suspension with torsion, while in the rear remained the leading bridge on the leaf springs. 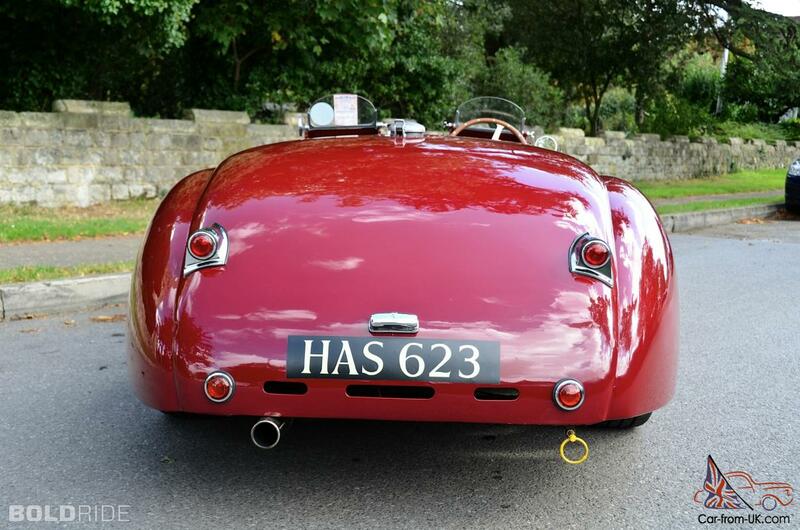 This scheme worked quite efficiently, in particular in the case of a racing car Tour, which was based on the model HK120. 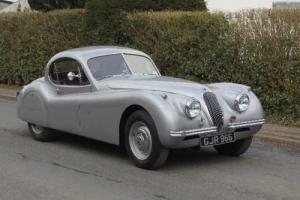 Salon different typical for Jaguar the comfort, the wide leather seats Connolly, off with the doors, the dashboard with large devices was well located. 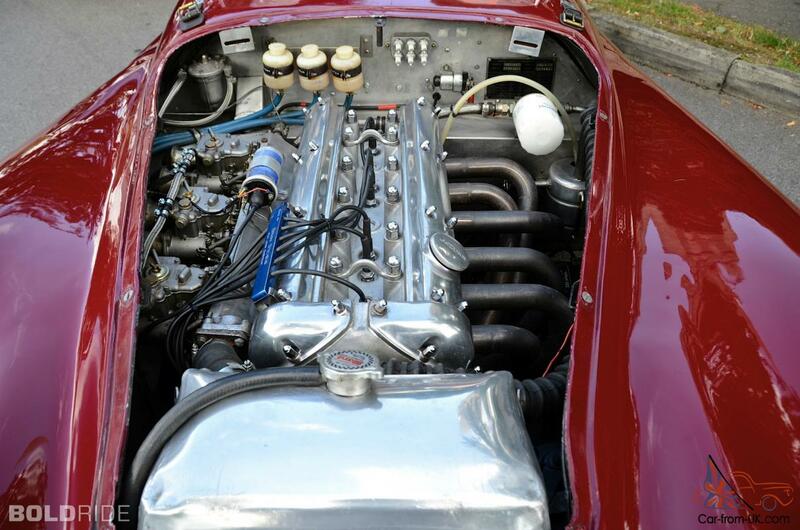 Inline six-cylinder engine, dual camshaft was considered to be extremely reliable in operation and has been used until the 1960s in the XJ models with a body of type В«sedanВ». 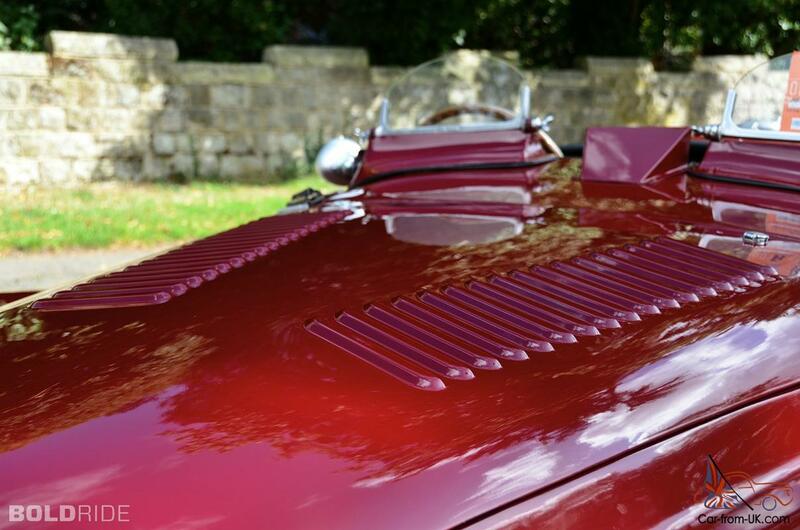 In the model 120 there were two identical SU carburetor, supply of power was based on torque. 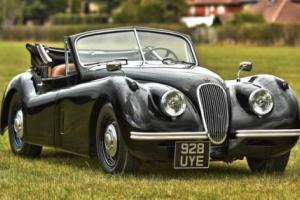 1953 Jaguar XK120 Drop Head Coupe, Left Hand Drive. 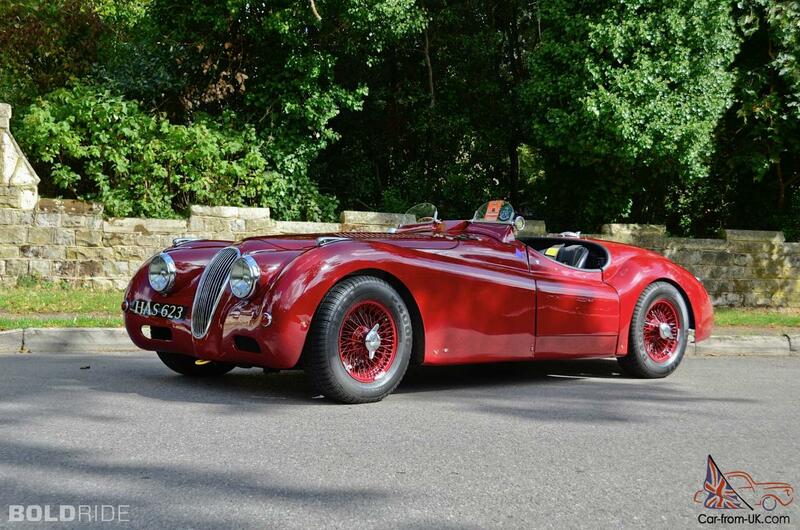 We are grateful to all, who will leave his opinion, the withdrawal or addition to our description of the Jaguar XK120.